William Flewellen Heard didn't set out to be an artist, but a tragic automobile accident left him wheelchair-bound. That's when he discovered a tremendous passion and gift for painting. 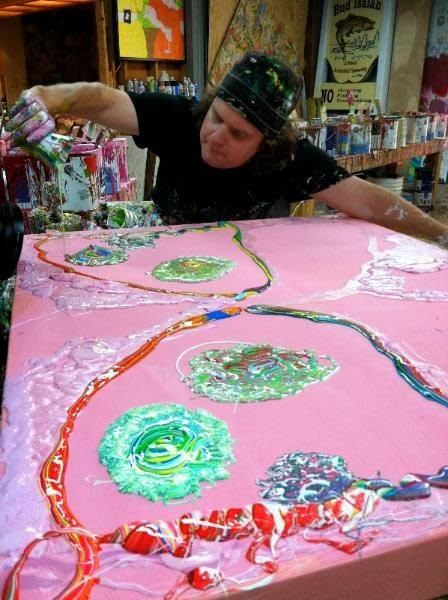 Now his unique, uplifting paintings are attracting attention across the region. See more on his web site. On Friday, October 4, please join us for an opening reception hosted by Janie Lowery and Cindy Dobbs in the second floor gallery of Church health Center Wellness. Light refreshments will be served and a portion of art sales will benefit the Church Health Center. Contact Ken Hall at hallk@churchhealthcenter.org with questions about the show, art sales or the Church Health Center.